Here is the second release of my BTool project! 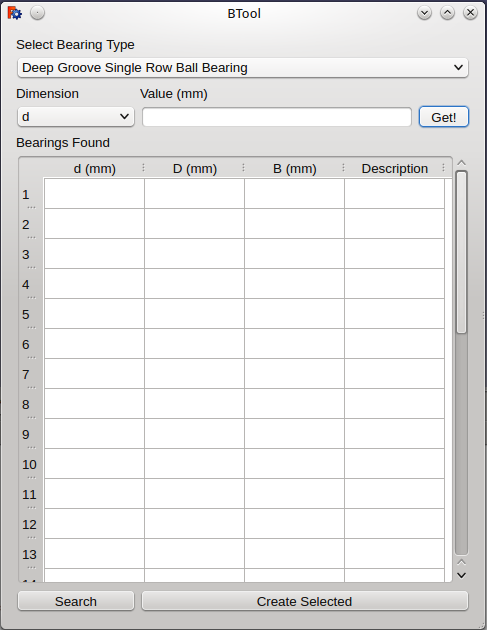 The new feature is a dialog window, where you can find, select and create the bearing without typing a word of code! I think that the dialog window is so simple that I'm not going to describe how it works step by step. I should add a small picture to display that. -Develop "Bearing smart placement function"